When you install an electric Ground-Source Heat Pump, you’re using the earth’s energy to substantially reduce your heating and cooling costs. In fact, for year-round comfort a Ground-Source Heat Pump is simply the most efficient heating and cooling system available. When you install an electric Air-Source Heat Pump, you and your family are surrounded with year-round comfort and savings. 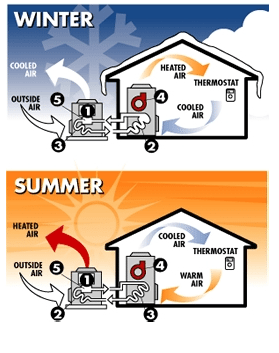 An Air-Source Heat Pump heats and cools your home efficiently and economically by using the air’s heat to work for you in both summer and winter. An electric heat pump also means there’s no danger of gas leaks if the pilot light goes out and no worries about carbon monoxide poisoning from a faulty gas heating system. There are no flames, fumes or flues; so there’s nothing to light, vent or clean. So keep your family safe and comfortable, and your energy costs low, from a very reliable source … an electric Ground-Source or Air-Source Heat Pump. For more information contact us at 870-853-5212 or 800-281-5212.